We have been catching up on some of the jobs we have been meaning to do and here is another disk that has been asked for many times. 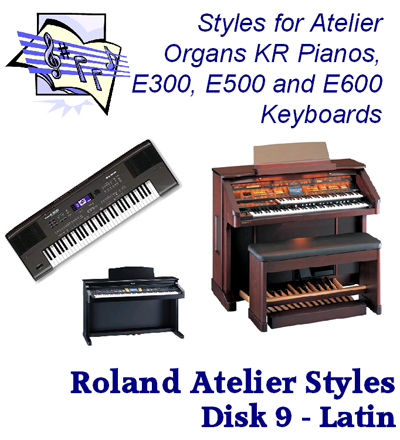 So for Roland Organ owners here is a collection of twelve Latin styles that were only previously on offer for newer instruments. Another twelve sparkling latin styles with dancing Cha Cha's to party numbers such as Limbo and Lambada.